As originally covered in Econsultancy. It still surprises me that audience engagement remains overlooked as a key metric for campaign success, because focusing on engagement helps align all players in the market and satisfies both marketer goals and consumer needs. Why is that? Well, for advertisers, having pricing options that are tied to consumer engagement rather than impressions ensures that we’re only paying for ads that are seen and engaged with. At the same time, technology providers are also more motivated to apply their data and target consumers efficiently, instead of simply shooting for volume. Of course, big data does come into play when improving engagement but it should be a means to an end, and not the end in itself. and fail to recognise data’s limitations. Big data has simply become too convoluted, and possibly too big. While useful to a point, over-saturation affects our ability to accurately assess our consumers. An excellent analogy is sound quality; beyond a certain point, additional resolution doesn’t noticeably improve things. In other words, adding other types of data beyond what is necessary doesn’t provide any additional benefits. Bar a minimal improvement in efficiency, the story stays pretty-much the same. Consumer data comes with a significant amount of ‘noise’ – the more collected, the more noise one has to deal with. These errors come up during measurement, categorisation, and most often with identification. After all, we’re still in a world where cookies, not people, are a unique identifier. An example of these errors is the way many targeting and measurement models assume that if you click on an ad and subsequently purchase, that conversion must have been due to that ad. This is quite a suspect assumption. 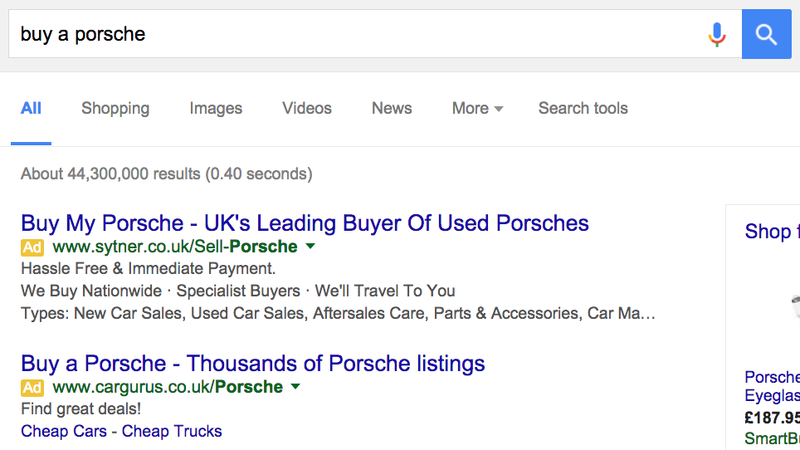 Another prime example of this measurement error is search advertising. Search-based ads are deliberately targeted at those consumers most likely to purchase the advertised product and timed to arrive when a consumer is performing a task related to the product. Data on conversions from such search campaigns that assume conversions were due to the ad is at, best, inconclusive and worst, just wrong. Advertising effectiveness studies have shown that targeted ads work and do a better job of grabbing attention. Data plays a key part in this by allowing us to hyper target consumers. However, other, trickier insights have reaffirmed another truth we know – that too much of anything isn’t always a good thing. Think about how too much targeting can have a negative impact. Consumers can react adversely to ads that are too specific and narrowly targeted. Ads that seem to invade their privacy are viewed with suspicion rather than interest and can cause anger and damage to the brand. It’s vital – and certainly not easy – to achieve that very delicate balance of engaging the right audience, without overly interrupting the user experience and causing concern. While data can be extremely useful, its role should primarily be to identify consumer receptivity, or willingness to receive a message from a brand. Beyond this, it’s a better and more productive route to understand what consumers are interested in reading about, learning, or experiencing and make every effort to bring them content that hits the right notes based on these interests. This is where delivering the right advertising content becomes extremely important so that people are more likely to spend time looking or interacting with it. This is where we get into the realm of engagement – an extremely prevalent buzzword but one on which there’s very little consensus as to what it actually is. For me, it’s about maximising time spent with users who are the most likely to become your customers but haven’t yet raised their hands with a signal like a branded keyword search term or a site visit. It’s about focusing on campaigns that capture and sustain audience attention. After all, brand affinity can only be built when the audience has spent sufficient time engaging with a brand. Data will, of course, play a key role in helping us on this journey but we shouldn’t miss the wood for the trees. Doug Conely has been the Chief Strategy Officer of Exponential Interactive Inc. since February 2014. He is responsible for publisher development, product management, insights services, creative strategy, and brand marketing having held multiple strategy, operations, and product roles since joining in 2009. Prior to Exponential, he spent four years at Yahoo! in London. Initially in their European Strategy and M&A team he became increasingly involved in their online display activities and led the integration of Blue Lithium in Europe before moving into ad product strategy where he was responsible for behavioural targeting and building Yahoo’s store purchase data partnership with Nectar. He spent his early career in strategy consulting and corporate finance working primarily in technology, media and telecommunications after receiving a Masters in Engineering from Cambridge University.